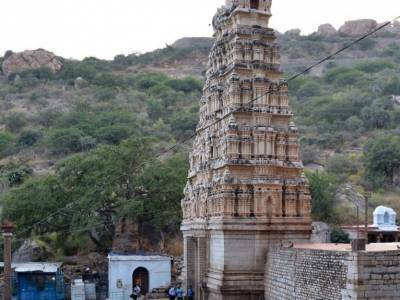 Yaganti Temple is located at a distance of 80km from Kurnool in the state of Andhra Pradesh. The temple of Lord Shiva was initiated in the 5th and 6th centuries by various Pallava and Chola rulers but completed in the 15th century by Emperor Harihara Bukka Raya of Sangam Dynasty of the Vijayanagara Empire. There are many stories which narrate the process and construction of the temple. The temple is situated aloft the Yerramala hills which lends it an extraordinary setting and extreme scenic beauty owing to which it is often considered one of the most popular attractions in Andhra Pradesh. 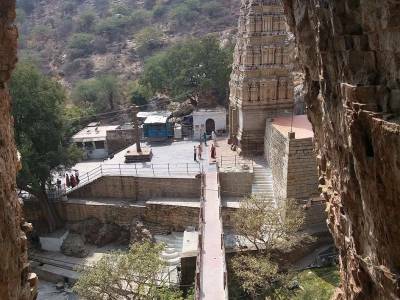 The Yerramala hills have numerous natural caves around the temple which have been the abode of many saints over the years. The three famous caves situated around the temple are the Agastya Cave, the Venkateswara Cave and the Veera Brahmam Cave. It is inside the Agastya Cave that Agastya performed his atonement for Lord Siva. The Venkateswara Cave is relatively easier to climb as compared to the Agastya Cave which requires climbing 120 steps to reach the top. The Venkateswara Cave still houses the destructed statue of Venkateswara. The Veera Brahmam Cave is much lower in height and requires one to bend over to enter the cave. 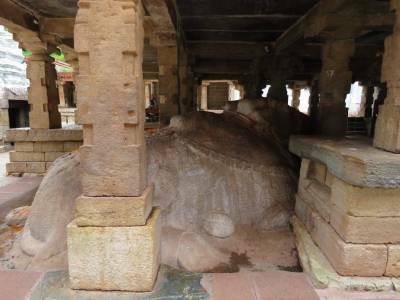 Saint Sree Potuluri Veera Brahmendra Swamy had predicted his prophecies (Kala Gnaanam) while staying in this cave. 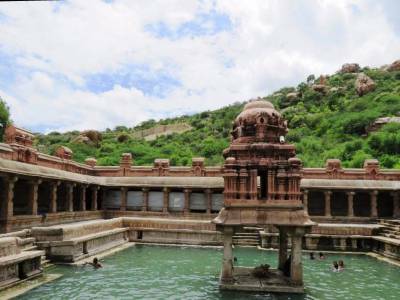 A unique feature of Yaganti is the Pushkarini, which is a little pond in which water flows from the mouth of a hill. There is an interesting fact about the Nandi idol, which locals believe in. It is believed that there is an incessant increase of the Nandi idol. There is also a scientific explanation behind it which states that the rock with which it is built has an inherent property of growing and the Archaeological Survey of India (ASI) has established that it grows 1 inch every 20 years. The visit to Yaganti is quite fascinating for tourists and which proves why it is a major tourist attraction. 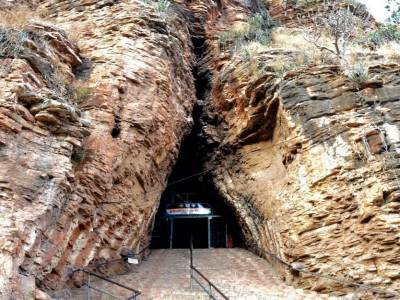 Tourists can visit the Yaganti temple either from Kurnool or from the infamous Belum Caves. Walk long to be at a such a beautiful place. It’s a peaceful place and best time to visit is winter and Monsoon. A big statue of Nandi is a point of attraction. You may whisper your wishes in ears of Nandi to get those fulfilled. Nice place to visit overall. Get quick answers from travelers who visit to Yaganti Temple.